I've got a pile of books on my "to read" list, but wanted something a bit lightweight. 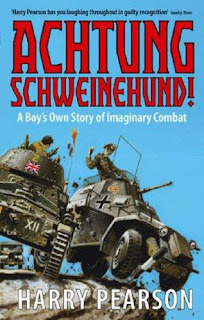 So this morning I tore through the first 50 pages of Achtung Schweinehund! which I had purchased about a year ago after seeing many recommendations across various blogs and fora. It is entertaining so far. I can relate in a general way, but as an American boy who grew up in the late 70's & early 80's, the experiences of an English boy who grew up in the 60's does fluctuate between the familiar and the alien. 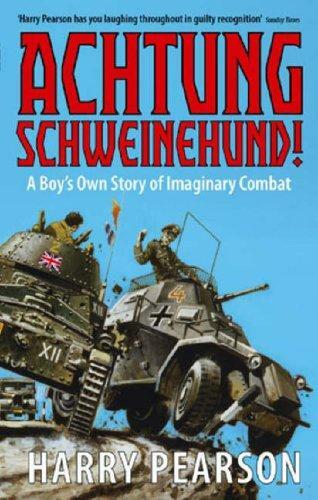 I'm still in the early chapters of comics, war movies and toy guns. I understand there's more about toy soldiers and wargames later on. Part the reason I wanted something lighthearted was that I just finished The Odyssey. Not that this was really heavyweight reading. It was just horribly tedious. I'm not entirely certain why I finished, other than curiosity and a desire to say I've read it. I know that must be some sort sacrilege, but it just wasn't what I would call enjoyable reading. Enjoying the Odyssey is all about choosing the correct translation. Do Penguin still use the Rieu prose translation? 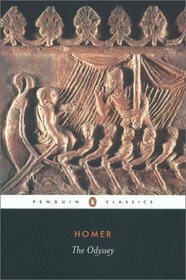 Fundamentally, The Odyssey is poetry, so reading the translation as prose is like wading through mud. Try waiting a year or so, then find a quality translation and see how that goes. I've always enjoyed Alexander Pope's translation. hi my name is Namita. i always respect art and it was cool. Was a great read - one of very few books that I have read twice and still enjoyed. I finished it at this point, and although I thought the author got a bit "negative" and less "fun" towards the end, I still enjoyed the book quite a bit. I want to loan it out to a number of my friends. Right now I'm just stuck on who to give it to first!